Presented annually to the Air Force major command determined by the Air Force chief of staff to have achieved the best flying safety record during the award period. Maj Gen Oscar Westover, then chief of the Army Air Corps, approved establishment of this award as the original Daedalian Trophy and made the first presentation on Sept. 21, 1938, an informal ceremony held outside the post headquarters building at March Field, California. 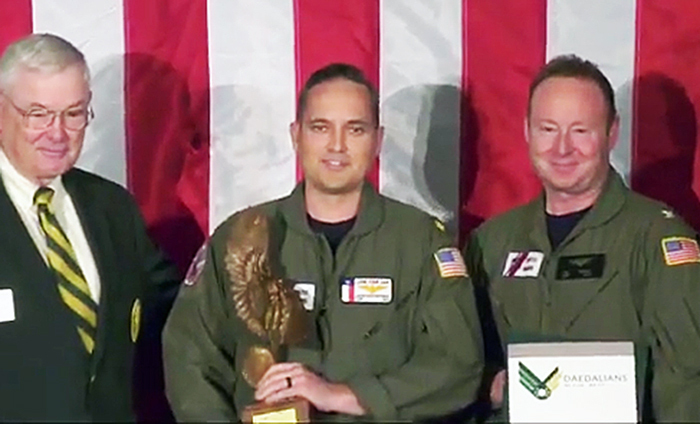 Presented annually to the Navy major flying command determined by the Chief of Naval Operations to have the most effective flight safety accident prevention program during the award period. This award was established in 1978 to honor renowned Naval aviator, Admiral James S. Russell, who served in such key posts as a carrier division commander in the Pacific during World War II, Chief of the Navy Bureau of Aeronautics, Vice Chief of Naval Operations, and Commander in Chief of NATO Forces in Southern Europe. 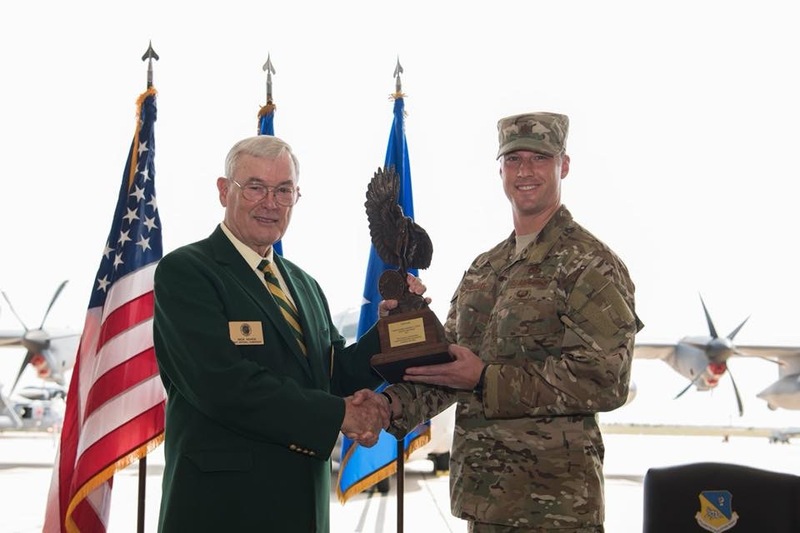 Presented annually to the Army unit determined by the Department of the Army to have demonstrated outstanding professionalism and contributed immeasurably to the advancement of flight safety in Army aviation during the award period. 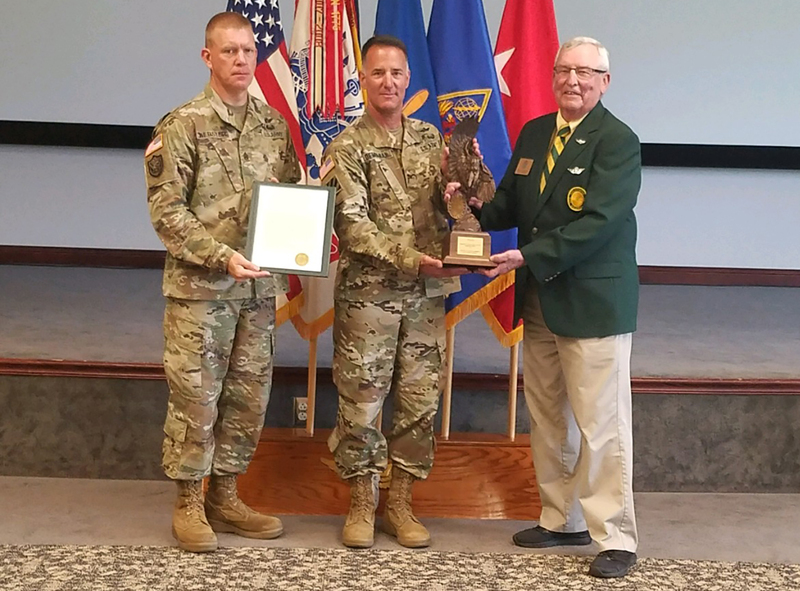 This award is named in honor of Army Brig Gen Carl I. Hutton, who was instrumental in establishing the Army’s first Helicopter Advanced Tactical Training Course while director of the Department of Air Training of the Artillery School at Fort Sill, Oklahoma. In 1954, he became the first commander of the Army Aviation School and commanding general, Fort Rucker, Alabama. The Lahm award was first considered in 1967 and arrangements were completed with the Air Training Command so as to allow its implementation in 1979. 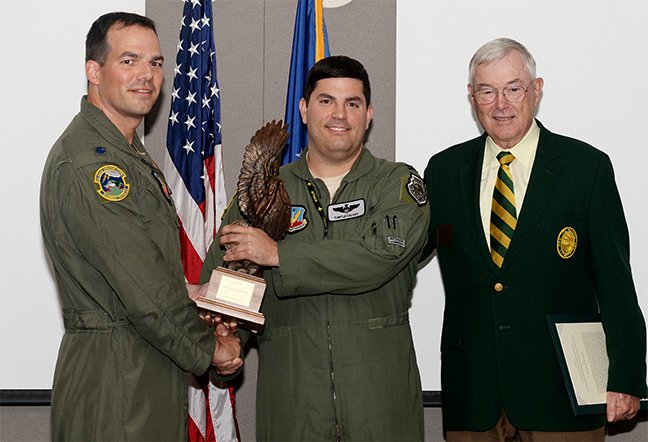 It is given annually to the flying training wing judged by the commander of Air Education and Training Command to have had the most effective flight safety program during the award period. Initially called the Daedalian Air Training Command Flight Safety Award, it was memorialized to General Lahm in 1981. General Lahm, one of the first two military pilots to learn to fly in 1909 from Wilbur Wright, was one of the original Military Aviators designated by General Order No. 39 on May 27, 1913. He was the top authority for establishing flying training programs in the fledgling Air Service. 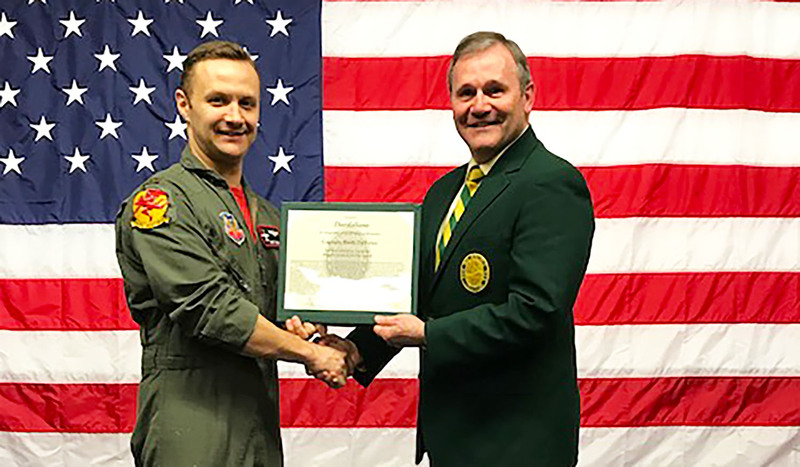 Presented annually to the training squadron of the Naval Air Training Command adjudged by the Chief of Naval Air Training to have achieved the most outstanding record in its flight safety program. This award was established to honor the memory of Adm. John H. Towers, one of the Navy’s foremost pioneer aviators. Among his many accomplishments were the establishment of the first Navy flying school at Pensacola, Florida; his command of the first successful transatlantic flight in 1919; and his distinguished service in the Pacific area during World War II. Lt Gen Allen M. Burdett, Jr. 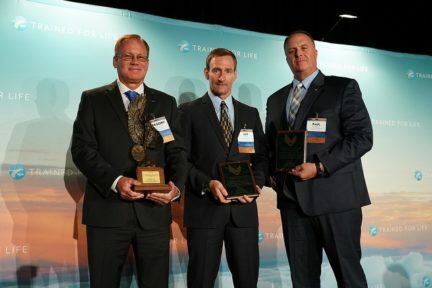 Presented annually to the Army aviation training unit adjudged by the commanding general, U.S. Army Training and Doctrine Command, to have the most effective aircraft accident prevention program. Presented annually to the captain and crew of a United States certified commercial airline that has demonstrated the most outstanding ability, judgment and/or heroism above and beyond normal operational requirements during the preceding calendar year. 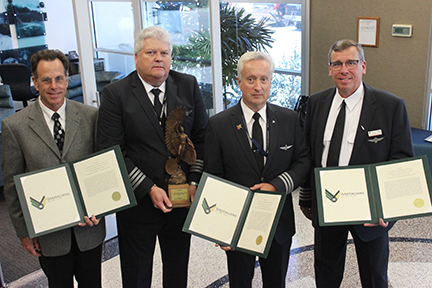 The recipient is selected by the Daedalian Awards Committee based on recommendations from the Airline Pilots Association, the Air Transport Association, the Allied Pilots Association and the Southwest Pilots Association. While in some cases, only the names of the crew captains are listed, it should be recognized that crew teamwork is a vital factor in exceptional performance. Presented annually to an aviator selected by the United States Air Force, based on exceptional deeds performed to assure mission success, acts of valor as an aviator, or an extraordinary display of courage or leadership in the air in support of air operations. Presented annually to an aviator selected by the United States Navy, based on exceptional deeds performed to assure mission success, acts of valor as an aviator, or an extraordinary display of courage or leadership in the air in support of air operations. 1998 – Lt. Cmdr. Alton E. Ross Jr. 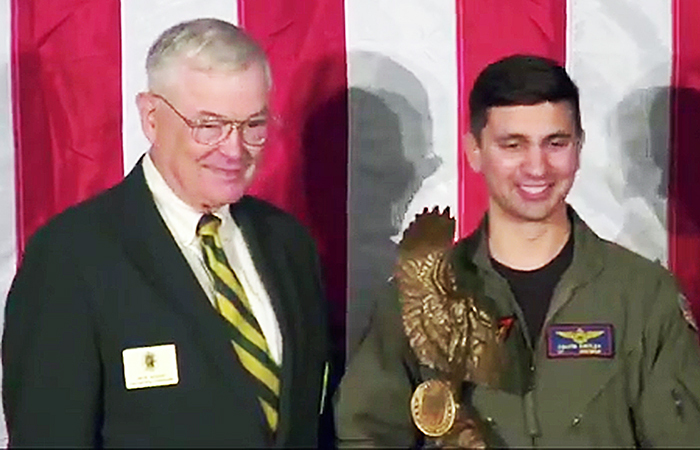 Presented annually to an aviator selected by the United States Army, based on exceptional deeds performed to assure mission success, acts of valor as an aviator, or an extraordinary display of courage or leadership in the air in support of air operations. 2001 – CWO4 James E. Hardy, Jr. Presented annually to an aviator selected by the United States Marine Corps, based on exceptional deeds performed to assure mission success, acts of valor as an aviator, or an extraordinary display of courage or leadership in the air in support of air operations. Presented annually to an aviator selected by the United States Coast Guard, based on exceptional deeds performed to assure mission success, acts of valor as an aviator, or an extraordinary display of courage or leadership in the air in support of air operations. Presented to the outstanding U.S. Air Force Academy cadet in the order of graduation. Awarded since 1959 in memory of brothers Lieutenant Generals Millard F. Harmon Jr. and Hubert R. Harmon. Millard Harmon was commander of Task Force 93, Strategic Air Force, Pacific Ocean Areas, when the plane he was on disappeared on Feb. 26, 1945. He was on his way from Guam to Washington, D.C. The aircraft was never found. He was Daedalian Founder Member 599. Hubert Harmon was retired and called back to active duty (a second time) on Nov. 8, 1953, at the request of the president of the United States, to become special assistant to the chief of staff for air academy matters. On Aug. 14, 1954, he became the first superintendent of the U.S. Air Force Academy at its temporary home at Lowry AFB, Colorado. He retired July 31, 1956, and died Feb. 22, 1957, at Lackland AFB, Texas. He was Daedalian Founder Member 1093. 2011 – Frank H Schmidt Jr.
1991 – James P. Dutton, Jr.
1961 – John D. Sullivan, Jr. 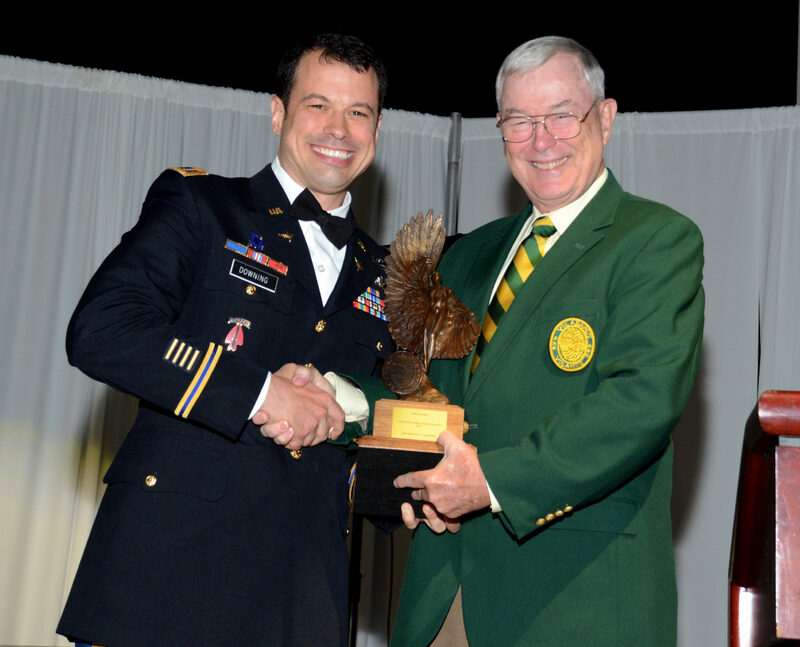 Presented annually to a member or members of the Air University adjudged by its commander to have made the most significant contribution to Air University education or to Air Force education in general. 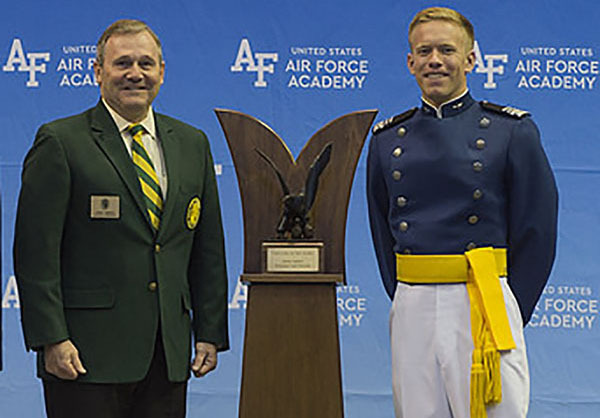 This trophy was named for Gen. Muir S. Fairchild, a Daedalian Founder Member and first commander of Air University. 2014 – Col. Richard J. Bailey Jr. Presented to the top graduate of the Remotely Piloted Aircraft Course at Joint Base San Antonio-Randolph, Texas. First awarded in 2017. Recipients are identified only by rank and first name because of Air Force policy limiting disclosure of information for all RPA pilots and sensor operators. 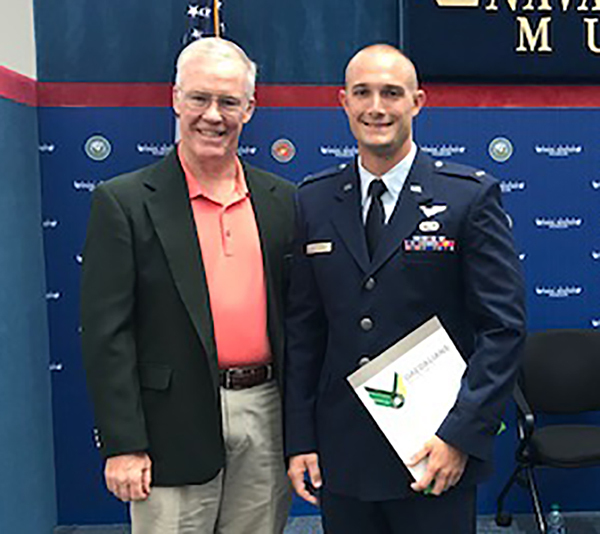 Presented to the top graduate of the Flight Surgeon Course at the U.S. Air Force School of Aerospace Medicine at Wright-Patterson AFB, Ohio. First awarded in 2017. 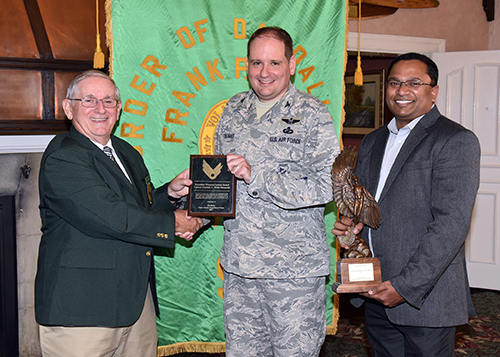 The award is named after retired Air Force Col. (Dr.) Thomas J. Tredici, who was a B-17 pilot in World War II, flying combat missions over Germany, Czechoslovakia and Poland. After the war, he attended medical school and became an ophthalmologist. He taught countless flight surgeons, and when he retired in 1987, he was the only World War II combat aviator on active duty. 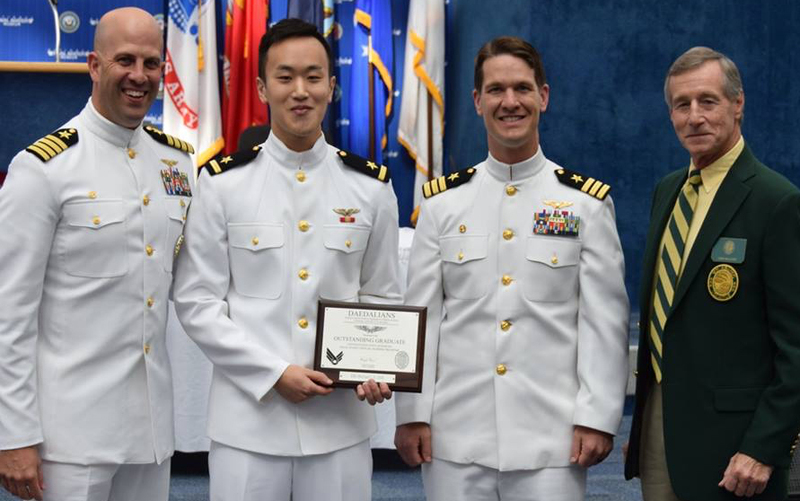 Presented to the outstanding graduate of the U.S. Navy Aerospace Medicine Residency. First presented in 2018. The award is named after retired Navy Capt. Robert E. Mitchell, Medical Corps, who was considered an icon in the study and treatment of Repatriated Prisoners of War. He was best known for his namesake, the Robert E. Mitchell Center for POW Studies, located at the Navy Medicine Operational Training Center at Naval Air Station Pensacola, Florida. 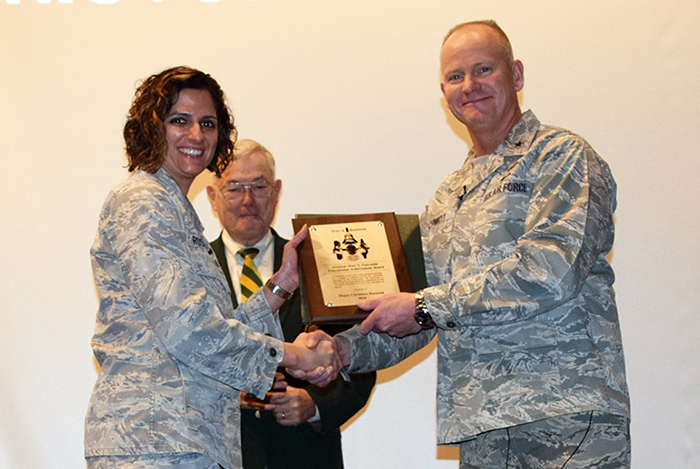 Presented to the outstanding graduate of the U.S. Air Force Undergraduate Combat Systems Officer Program. First presented in 2018. 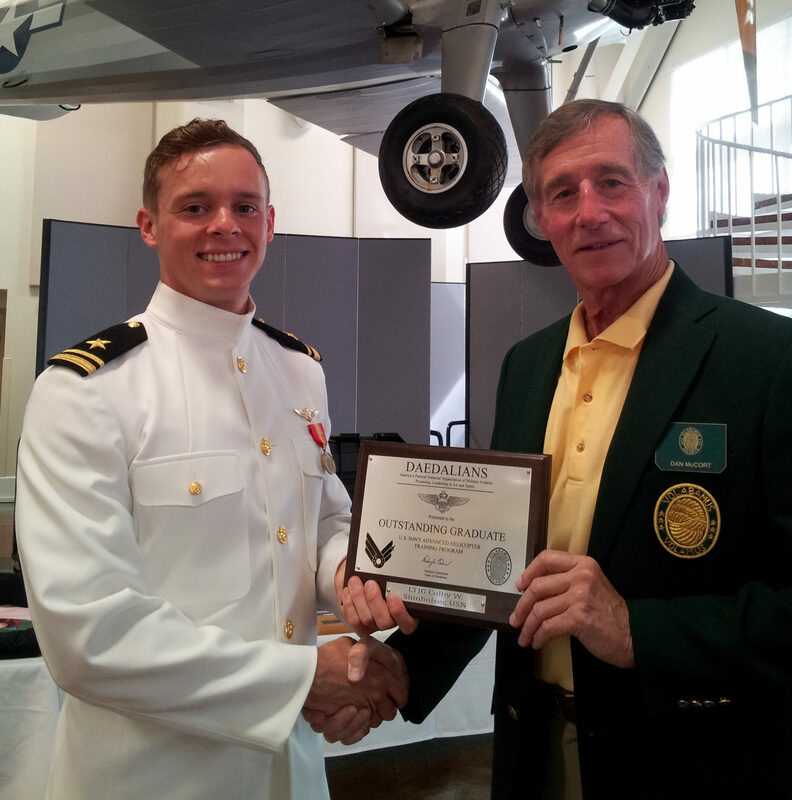 Presented to the top graduate of the U.S. Navy Advanced Naval Flight Officer Training Program for the Navy and Marine Corps, NAS Pensacola, Florida. First presented in 2018. 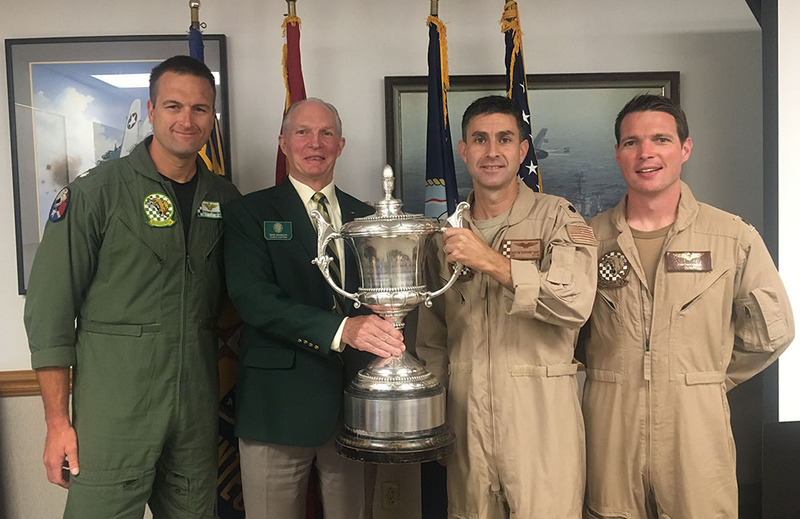 Presented to the top graduate of the U.S. Navy Advanced Helicopter Training Program for Navy, Marine Corps and Coast Guard helicopter pilots, NAS Whiting Field, Florida. First presented in 2018. Presented annually to military or civilian individuals, groups or organizations determined to have contributed the most outstanding weapons system development which operates, in whole or in part, in the aerospace environment. The recipients are selected by the individual services from nominations submitted by the Departments of the Army, Navy and Air Force, and the award is made on a rotating basis in that order. 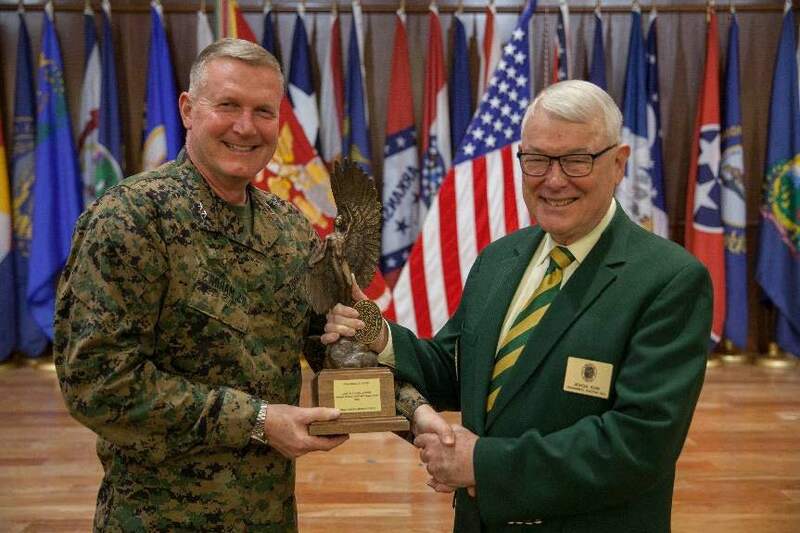 The donor of this trophy, the late Col Franklin C. Wolfe, served as assistant chief and then chief of the Armament Laboratory of the Army Air Forces Materiel Command at Wright Field, Ohio, from 1939 until his retirement in 1944. Presented annually to a wing-level Air Force unit determined by Headquarters USAF to have the best weapons system maintenance record for the preceding calendar year. Presented annually by the Air Force chief of staff to the base-level unit with the best supply effectiveness record in support of mission aircraft and/or weapons in the U.S. Air Force. 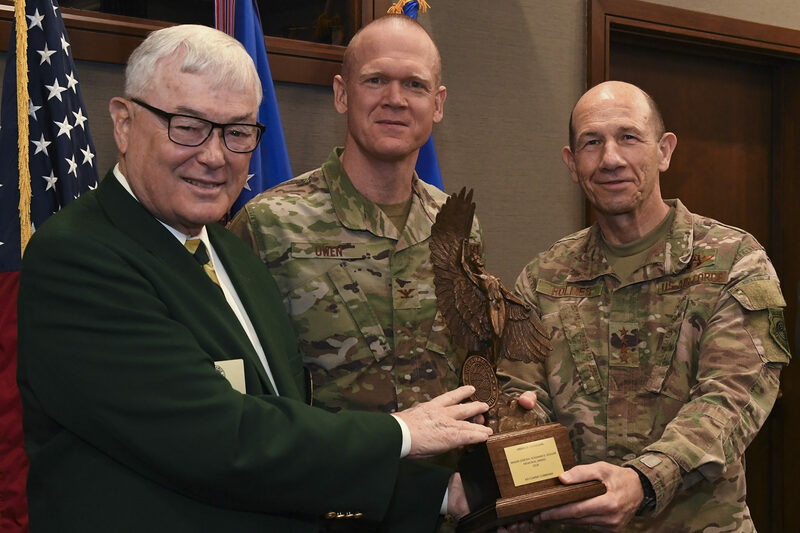 Presented annually to the Air Force unit (large installation) adjudged by Headquarters USAF to have the best overall Force Support Squadron in the Air Force during the award period. This trophy was donated by the late Col. Joseph A. Wilson, USAF (Ret), and initially designated the Special Services Award. It is now known as the General Curtis E. LeMay Award in tribute to General Lemay, whose long and distinguished career included commander, Strategic Air Command, 1948-1957; Vice Chief of Staff of the Air Force, 1957-1961; and Air Force Chief of Staff, 1961-1965. Presented annually to the Air Force unit (small installation) adjudged by Headquarters USAF to have the best overall Force Support Squadron in the Air Force during the award period. 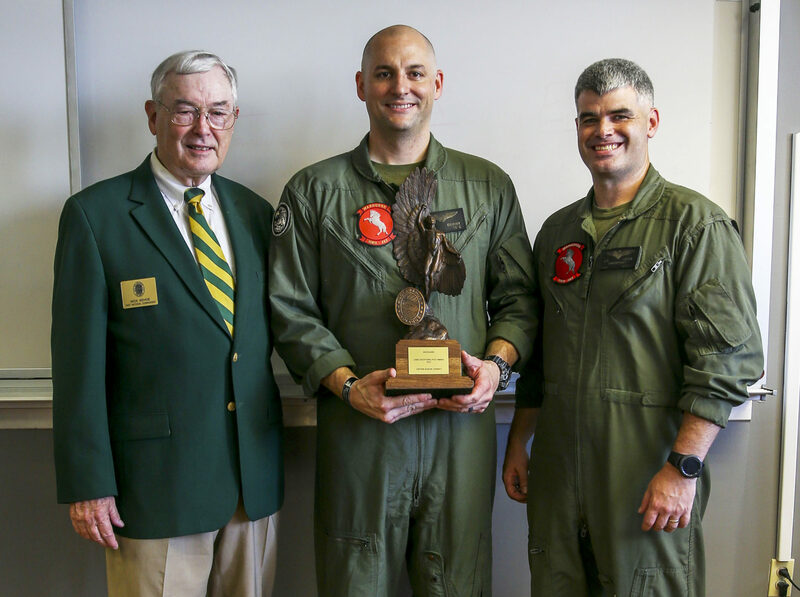 This trophy was named for Maj. Gen. Eugene L. Eubank, who was a World War I aviator and Founder Member of the Daedalians. Presented as warranted to individuals for extraordinary achievements or contributions that further the tenets and objectives of the Order. First awarded in 1967. Presented as warranted to active Daedalians in good standing in recognition of outstanding feats of airmanship or other related and enduring achievements in the field of aeronautics. First awarded in 1984. Recognizes excellence in manned aerial flight. Only awarded when circumstances warrant its presentation, this award is restricted to current or former military pilots. Named for Maj. Joe Foss, the leading Marine fighter ace in World War II. He received the Medal of Honor in recognition of his role in air combat during the Guadalcanal Campaign. In postwar years, he was an Air National Guard brigadier general, served as the 20th governor of South Dakota, as president of the National Rifle Association, and the first commissioner of the American Football League. High schools may request medals from a local flight. High schools may also order directly though Ira Green Incorporated at http://www.iragreen.com/daedalian-jrotc-medal-set.html or call their customer service line at 800-663-7487 . The Daedalians National Headquarters provides medals to participating Daedalian Flights, but does NOT provide medals to individual JROTC units. The Daedalians provides a certificate, which can be presented to the student at the time they are presented the award. There is also qualification data and information which should be read during the presentation of the award by a local Daedalian or JROTC instructor.